Effective road transportation is crucial to economic and social well-being. Yet in cities worldwide, existing road systems suffer from government policies responsible for traffic congestion, unsafe conditions, high costs, political corruption, waste and pork, environmental degradation, and poor maintenance. Street Smart examines private, market-based alternatives for road services, both in theory and practice. The book explores at least four such possible directions for private services, including testing and licensing vehicles and drivers; management of government-owned road facilities; franchising; and outright private ownership. The book further traces the history of private roads in Great Britain and the United States and examines contemporary examples of entrepreneurial innovation in road pricing, privatization, and marketization in environs as diverse as Singapore, California, Ghana, Norway, and England. The main obstacle to private road services rests with political classes reluctant to give up their lucrative sources of power, wealth and influence through current government road monopolies. However, those seeking responsive road services determined by the free interplay of consumers and private suppliers will find that Street Smart lays the intellectual groundwork for the badly needed overhaul of road-transportation policy. 1) Why Involve the Private Sector in the Provision of Public Roads? 3) Do Holdout Problems Justify Compulsory Right-of-Way Purchase and Public Provision of Roads? Gabriel Roth and Olegario G. Villoria, Jr.
10) How Should the Revenues from Congestion Pricing Be Spent? Roads have been cited as examples of public goods that for economic reasons can be provided only by governments, but that perception is false. In the late 18th and 19th centuries, thousands of miles of privately provided roads covered parts of England and the United States (ch. 11-12). Today, the SR91Express Lanes in Southern California (ch. 9), Canadas Highway 407 near Toronto, the U.K.s M6 motorway and Dartford Crossing (ch. 17), and Swedens privately operated rural roads (ch. 14) show that private roads are making a comeback. 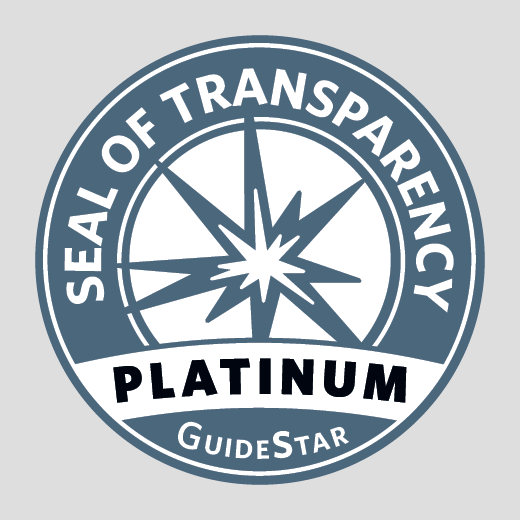 Fullscale privatization offers enhanced performance, less concern with politics, lower costs, better information, quicker implementation (ch. 3), ability to finance expansion, and competition (ch. 3, 9, 13). High-Occupancy Toll HOT lanes have been operating successfully in Southern California for ten years, and have given travelers the choice of buying congestion-free travel. HOT Networks could offer similar choices in Miami, Atlanta, Dallas, Houston, Seattle, Washington, D.C., San Francisco Bay Area, and Los Angeles (ch. 19). Effective road transportation is crucial to economic and social well-being. The quality of our road systems helps determine whether we will be involved in a traffic accident, the response time of emergency service, the cost of our car insurance, whether we arrive at our jobs in a good mood, the quality of the air we breathe, whether the shelves of our local stores are well-stocked, and much more. Road systems around the world, however, suffer from traffic congestion, unsafe conditions, high costs, political corruption, waste and pork, environmental degradation, and poor maintenance. Fortunately, many of the worlds roadways can be dramatically improved by applying the same principles that have brought significant improvements to telecommunications networks. Street Smart: Competition, Entrepreneurship, and the Future of Roads, edited by Gabriel Roth, provides road maps for the fundamental reform of road services by examining innovative directions for market-based reforms, including private testing and licensing of vehicles and drivers, private management of government-owned road facilities, franchising, and outright private ownership. 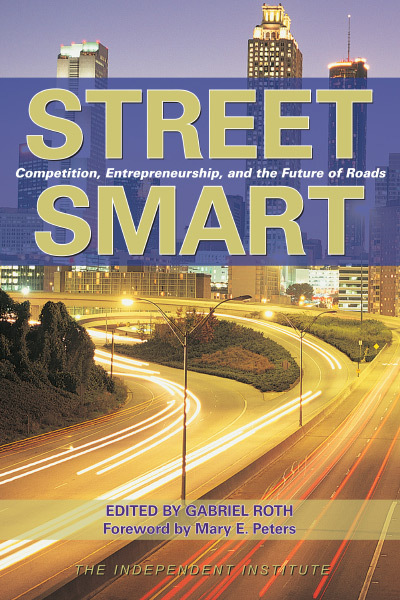 An interdisciplinary approach to road reform, Street Smart draws on subjects as diverse as economics and public-policy analysis, engineering and technology, the history of private roads, and case studies of recent market-based reforms in the United States, the United Kingdom, New Zealand, Sweden, Singapore, and elsewhere. The time has come to unleash the power of the private sector to deliver the innovation, cost savings, quality, and choice it has delivered in telecommunications and other industries, writes former U.S. Federal Highway Administrator Mary E. Peters in the books foreword. Street Smart takes us closer to the destination of safer, more efficient roadways by showing policymakers, transportation managers, entrepreneurs, and general readers how and why road services should be re-engineered by using effective, marketbased approaches. Street Smart begins by addressing a basic question about reforming road services: What are the benefits and barriers to relying more on private companies? In chapter 1, Gabriel Roth argues that road systems, especially outside the United States, need to be changed because excessive costs are associated not only with congestion but also with political control of roadsincluding losses of personal freedom to those who strive for mobility. In chapter 2, John Semmens examines the failures of traditional highway finance, such as the inefficiencies of road taxes, the perverse incentives to shift costs to others, and the political uses of bad roads. In chapter 3, Bruce Benson explains that eminent domain is not necessary for the provision of roads; private companies, such as pipeline suppliers, can negotiate different routes with different groups of landowners, and generally do not need to resort to government-sanctioned coercion. In chapter 4, David Levinson examines the political obstacles to the privatization of local streets, intercity freeways, and connector roads. In chapter 5, John Semmens explains why local authorities have weak incentives to stop uninsured drivers and proposes promising low-cost solutionssuch as the development of electronic license plates that insurers could remotely switch off so that uninsured drivers could be promptly apprehended. In chapter 6, Gopinath Menon describes Singapores 30-year experience with congestion pricing. In chapter 7, Herbert Mohring shows how the principles of industrial-organization economics shed light on transportation and roads, particularly regarding traffic congestion. He then uses these principles to derive optimal tolls for a highway network modeled after those in Minneapolis- St. Paul. In chapter 8, Gabriel Roth and Olegario Villoria use data from traffic congestion in Manila to show how optimal congestion prices are calculated and to estimate the potential profitability of Manilas roads. In chapter 9 Edward Sullivan explains how the tolled express lanes introduced in the 1990s on routes SR 91 and I-15 in Southern California operate. These lanes are subject to tolls, electronically collected, and varied to ensure that the lanes are free of congestion at all times. Although most economists support the principle of levying additional charges for the use of congested roads, there is no unanimity about the disposition of the revenues. In chapter 10, Kenneth Button discusses the economic and political aspects of this question on the basis of the experience in Norway and Central London. One argument made against allowing more private roads to be developed is that they would not be provided extensively because of roads public goods character. In chapter 11, Bruce Benson discusses the extensive network of privately provided roads that existed in Britain since Medieval times and disputes that claim. He describes the 17th century development of the toll-financed turnpike trusts and their demise in the 19th century due to public opposition to tolls. In chapter 12, Daniel Klein and John Majewski review the history of privately provided toll roads in 19th century America. In the light of the achievement of the private toll roads and their decline during the Progressive era, they conclude that any presumption about government dominating the field of road provision must be reconsidered. In chapter 13, Fred Foldvary disputes the view that local roads must be publicly provided to protect residents from excessive charges. Just as a hotel guest is not exploited by the hotels ownership of its hallway, Foldvary argues, so a member of a residential association could benefit from her associations ownership of a private streeta point he illustrates with examples from the United States. In chapter 14, Christina Malmberg Calvo and Sven Ivarsson describe the private road associations that own and manage numerous rural roads in Sweden, with government encouragement. Private firms frequently maintain roads in accordance with government specifications. In chapter 15, Gunter Zietlow discusses a performance-based alternative to such arrangements, whereby road owners (generally governments) specify only the condition required of the roads and let contractors choose the means to meet these requirements. The Hon. Jim McLay, former Deputy Prime Minister of New Zealand, chaired a commission which advised the government on road financing and related issues. In chapter 16, he describes New Zealands efforts to improve the organization, management and financing of roads. In chapter 17, Neil Roden describes how the Private Finance Initiative (PFI) became established in the United Kingdom as the procurement method of choice for many projects. In chapter 18, Ian Heggie describes the efforts by governments, aided by international assistance in which he was involved, to bring roads into the marketplace, put them on a fee-for-service basis and manage them like a business. Much of this work involved setting up Road Boards and Road Funds to de-politicize and to commercialize road management and financing. On the basis of the successful High-Occupancy Toll HOT lanes in Southern California, Robert W. Poole, Jr. and Kenneth Orski, in chapter 19, develop the concept of HOT networks to give major urban areas networks of congestion-free roads for the use of buses and tolled vehicles. Tolls would be collected electronically, without vehicles having to stop, and varied to ensure congestion- free conditions at all times. They sketch and evaluate HOT networks for eight U.S. urban areas. In chapter 20, Peter Samuel pulls together many of the ideas developed in earlier chapters to propose a program for moving roads from the government to the private sector. His chapter concludes with suggestions for major privately financed road improvements in the Chicago, Los Angeles, New York City, and Washington, D.C., areas.